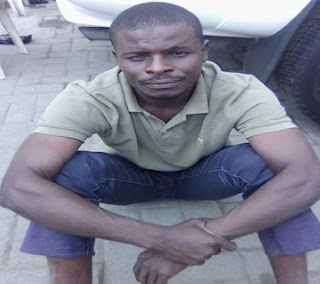 A suspected member of the Boko Haram sect identified as Abdullahi Adamu has been arrested by Security operatives attached to Operation Mesa (OP Mesa) in Ijora area of Lagos State following a tip-off by residents of the community. The suspect, identified as Abdullahi Adamu, was apprehended during a raid carried out by operatives of the security outfit comprising the Army and the State Security Service (SSS). the activities of a terror network allegedly co-ordinated by Iranians. The suspects was arrested after soldiers ransacked one of the buildings in the area. Adamu was said to have concealed some devices suspected to be explosives in boxes, which were stacked in the ceiling of the house. Also recovered alongside the suspected explosives were two AK47 rifles. Another member of the community who spoke on condition of anonymity said “People came to me that they saw one man on the internet and that he is a member of Boko Haram, saying they know where he lives. They said they are going to his house and identify him. They arrested him and handed him to Oba of Ojora,” he said.